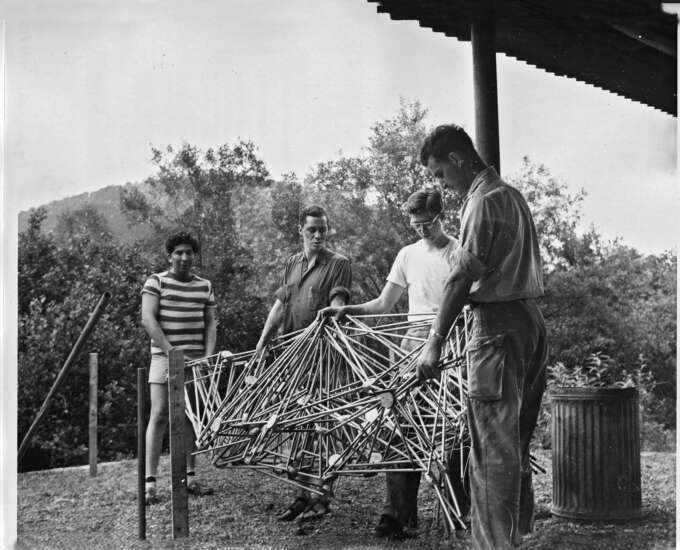 I've long been fascinated by North Carolina’s Black Mountain College, an experimental interdisciplinary school started in 1933, with an emphasis on collaboration between students and teachers, outdoor activities and communal living. 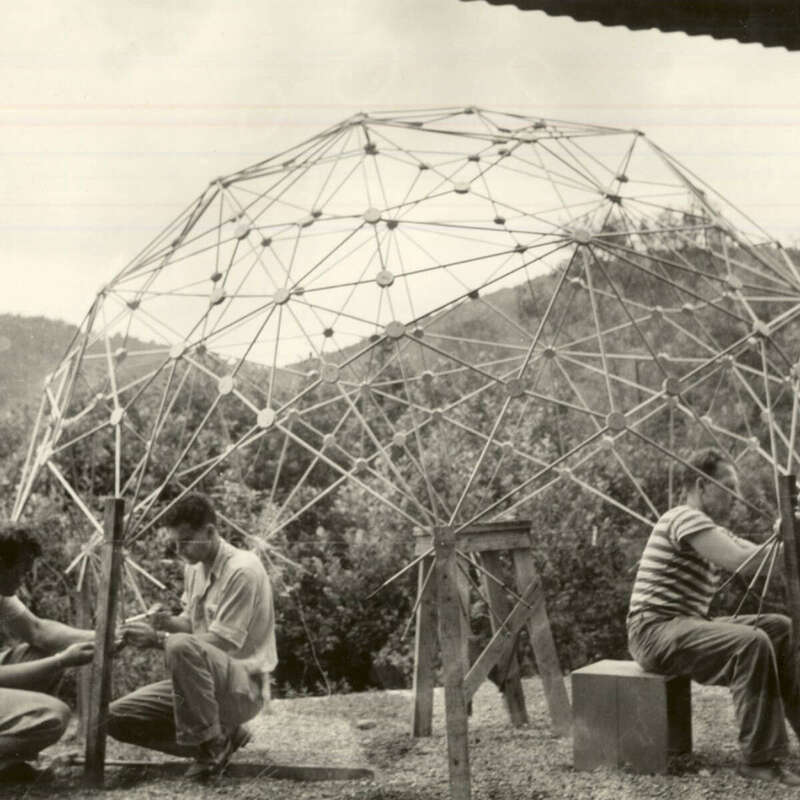 It was a radical institution with no grading, fees or set graduation date and it was associated with and spawned some of the greatest artists and architects of the American 20th century. 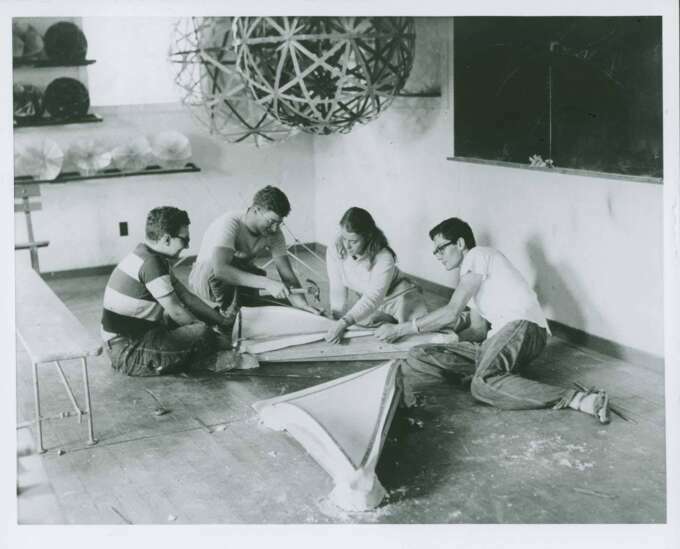 Alumni include Robert Rauschenberg, John Cage, Willem & Elaine De Kooning, and Buckminster Fuller and Cy Twombly. While it seems to have been clearly inspired by European institutions like the Bauhaus (with a similarly truncated lifespan of 24 years), it had an earthiness and pioneering spirit that was uniquely American. Save Khaki chambray shirt , Jigsaw worker pant , Ancient Greek Sandals "Homer". This was partially by design, the location in the heart of the Blue Ridge Mountains was far from any major urban centre. 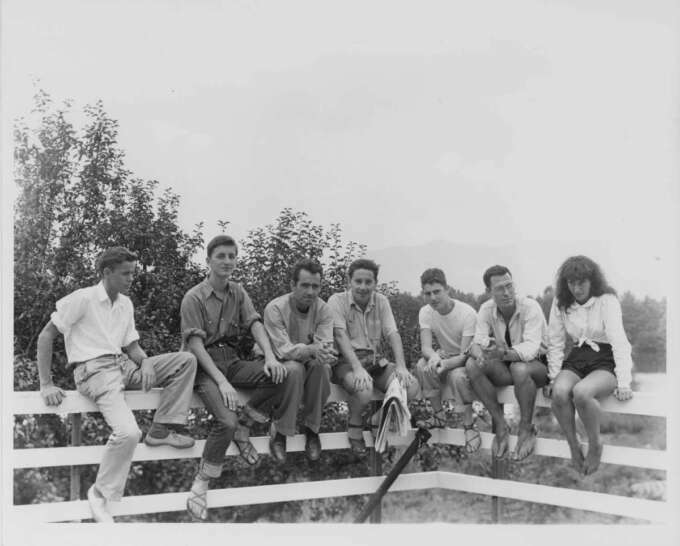 The students and faculty even worked collectively on a farm attached to the lodgings of the school. The images of the students often have the feeling of an artistic summer camp, with students building, swimming and dancing outdoors. This meant that in contrast to their arch European counterparts (who were often the children of the wealthy bourgeoisie) Black Mountain students appeared uniquely American in dress, wearing cuffed chinos, sporty sweatshirts, chambray shirts with the sleeves rolled up, and moccasins, dirty bucks and sandals for footwear. Beams block stripe tee , Lemaire denim jeans , Alden unlined derby. We do not always create works of art, but rather experiments. It's not our intention to fill museums, we are gathering experience. Pomandere mustard overshirt , COS relaxed chino , Quoddy blutcher. The school was unfortunately plagued by a lack of funds, under-enrollment and hostility from the conservative surrounding towns, which saw it as a hotbed for communist subversion and free-love. These pressures would see the school close its doors in 1957. 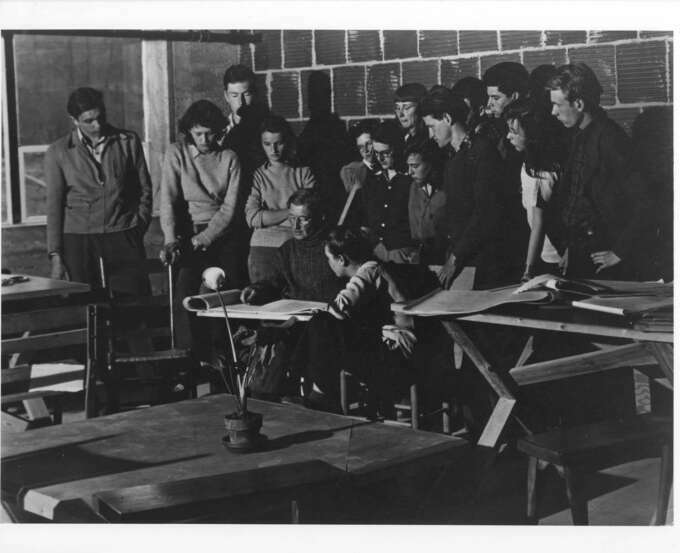 Despite its short life, the school's influence and that of its most celebrated students was ongoing and helped lay the ground for the explosion of talent in the American post-war period. Merz B. Schwanen tee , Bleu De Paname cargo trouser , Moonstar deck shoe.